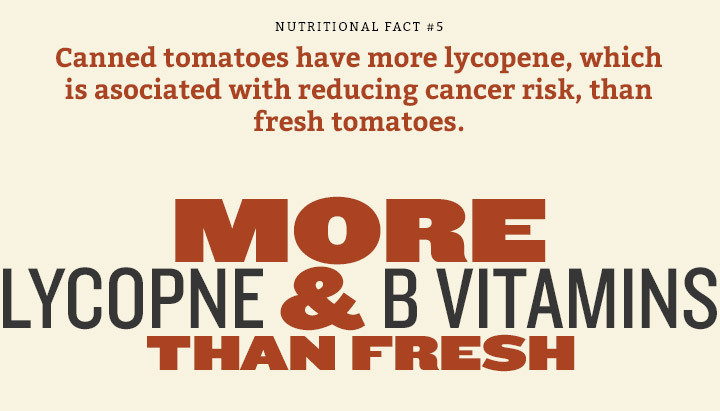 There are a lot of misconceptions about food packaged in cans. 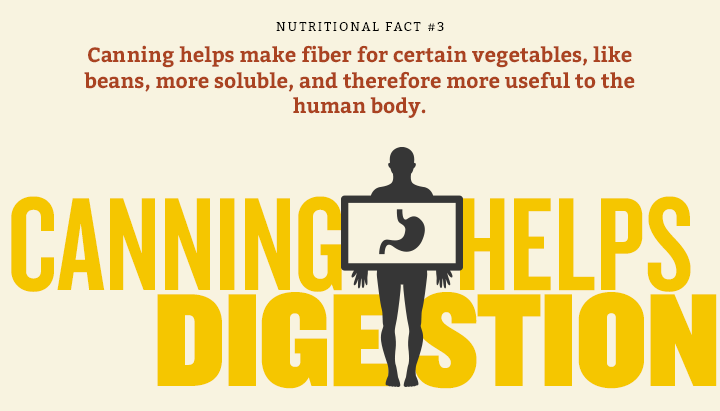 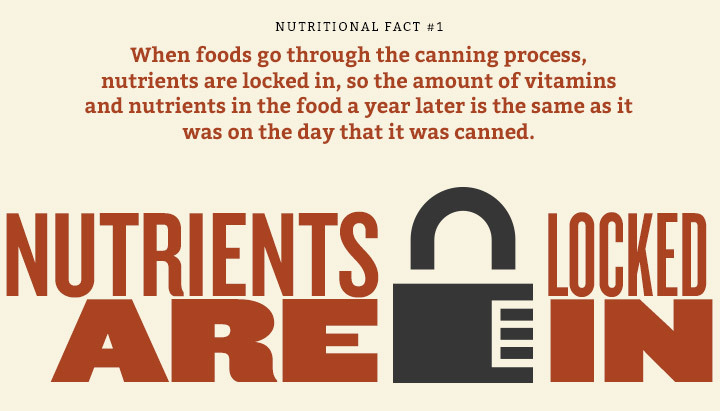 We hope that these facts will help our consumers understand how safe, nutritious and flavorful canned foods can be and that canned foods should be an integral part of your life. 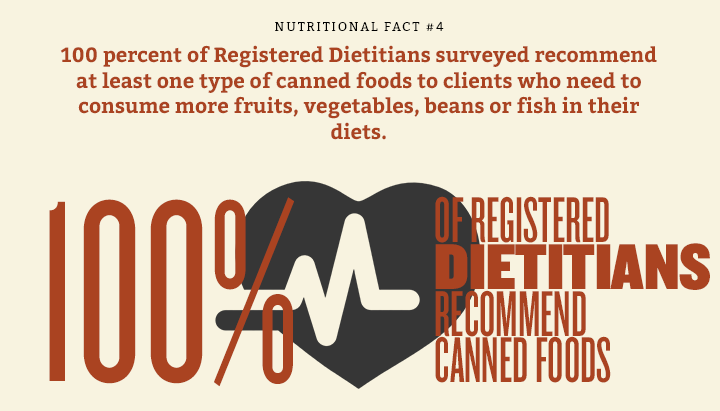 Due to the canning process, canned foods require no preservatives! 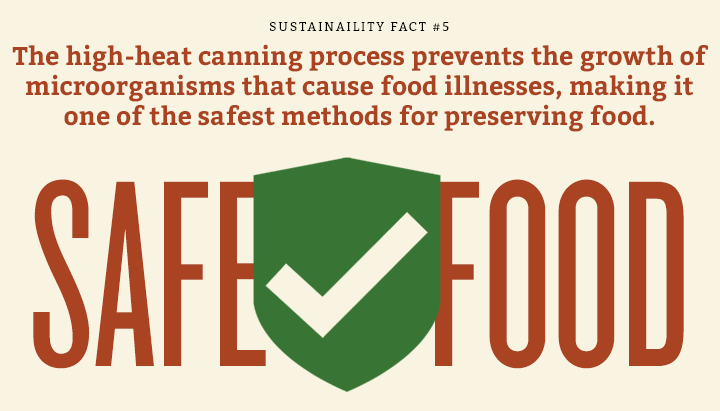 Preservatives are not needed to maintain the quality of canned food because the cooking process renders the food microbiologically safe and the unrivaled barrier properties of steel naturally preserves the food for years. 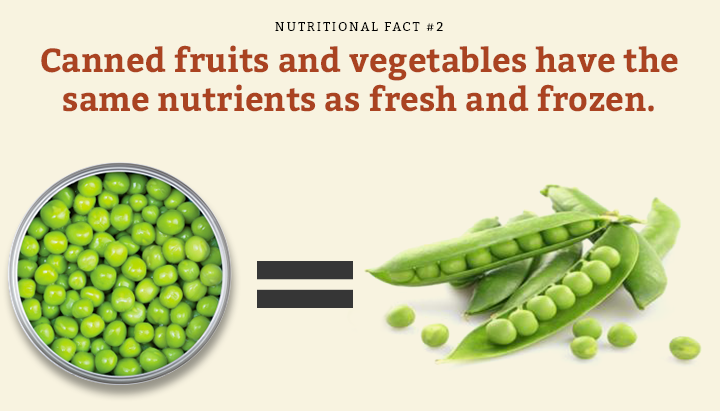 Canned food is picked at the peak of ripeness and immediately canned, locking in its flavor and nutrition! 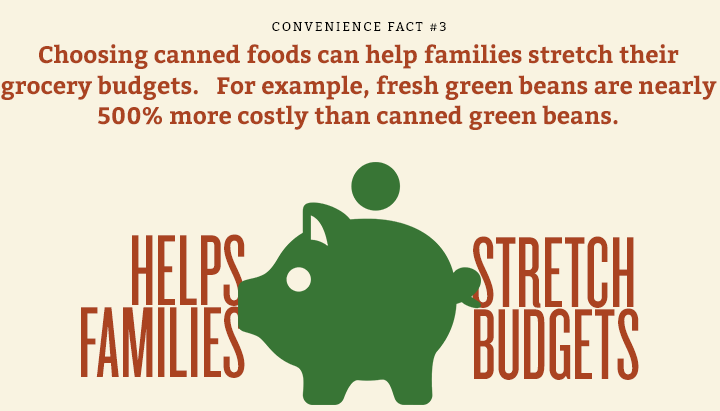 Steel cans are one of the most convenient food packages on the market! 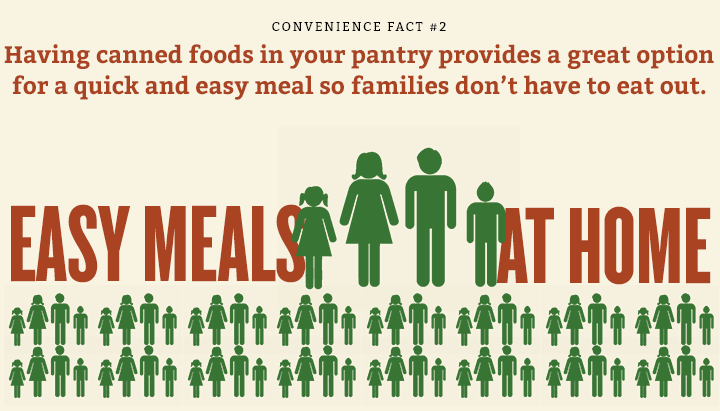 Canned food is able to be stored for long periods of time, allowing consumers to use them whenever they please. 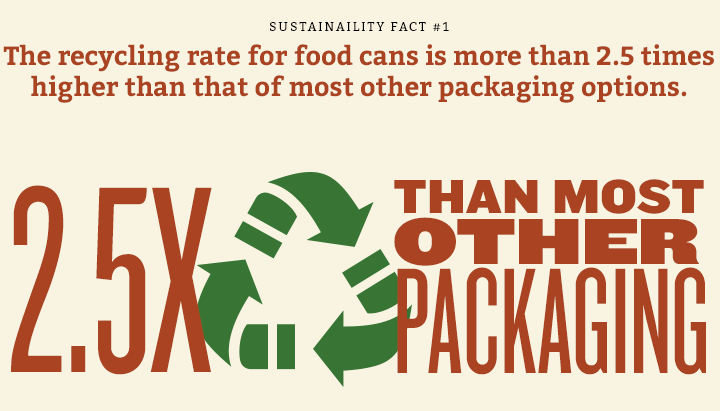 Cans are easily opened and their contents are easily emptied. 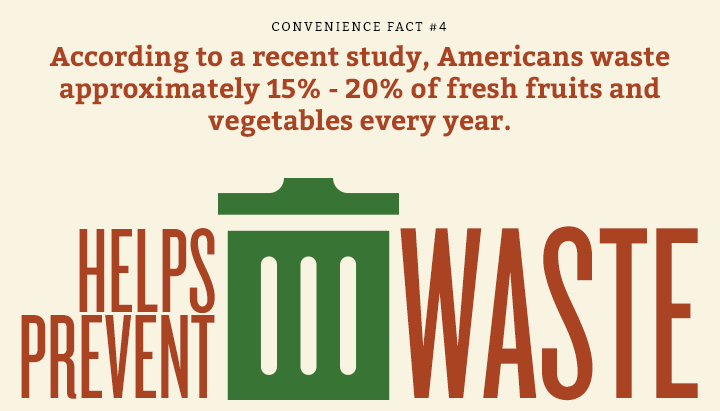 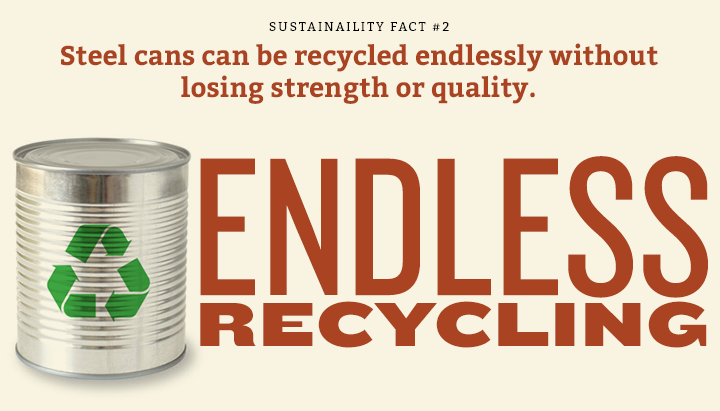 The steel can is the most recycled food container in the U.S.! 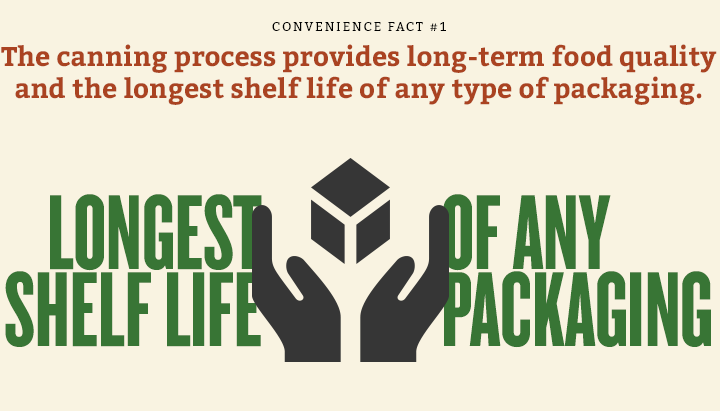 Metals can be recycled without loss of their metallurgic properties and can be used again and again to form new packaging and other products. 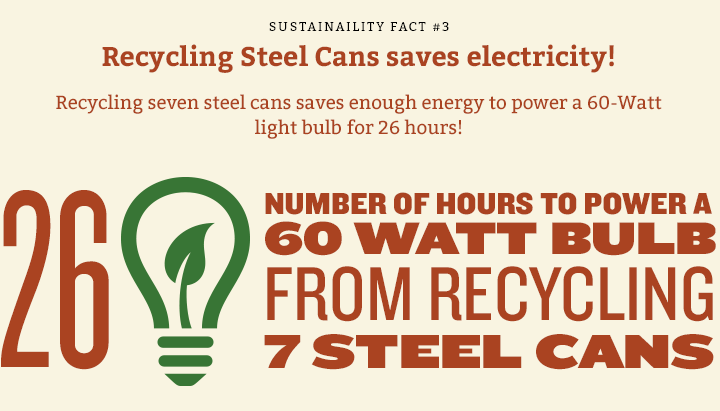 The steel can recycling rate has risen from 15% in 1988 to 67% in 2010. 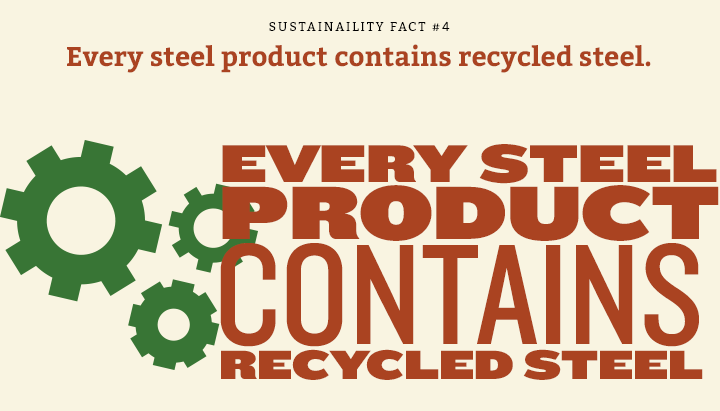 In 2005, 18 million steel cans were recycled, which is more than 1.4 million tons of steel.